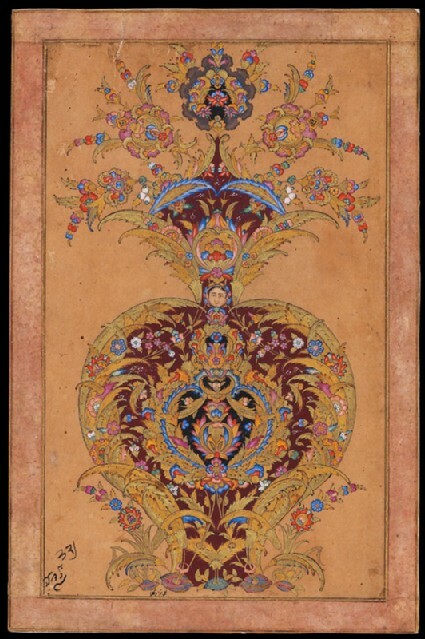 This fantastical illumination may have appeared at the beginning or end of a Bijapur album or manuscript. Its decorative style follows earlier Islamic models, but the motif of the vase of plenty is an ancient one in Indian art, symbolising good fortune and fertility. Such vases often appear in 17th century Islamic architectural decoration in the Deccan.